HONOLULU – Gov. 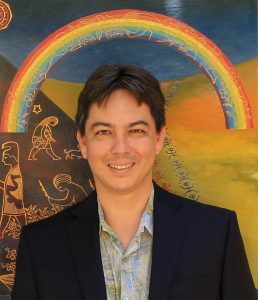 David Ige has appointed Roderick Becker to serve as the state comptroller, a position that concurrently serves as director of the Department of Accounting and General Services (DAGS). Becker will replace Douglas Murdock who is stepping down as comptroller and DAGS director on Nov. 18. Becker has served as deputy director of the Department of Budget and Finance under Gov. Ige since December 2014. Prior to this, he was budget chief for the Hawai‘i State Senate where he supported the legislature’s development of the state budget. Becker is a graduate of the University of Hawai‘i at Mānoa where he earned a B.A. in economics and political science. He was also designated a certified public finance officer by the Government Finance Officers Association. “Rod has been a valuable member of our Budget and Finance team, and I am confident that he will use his expertise and experience to continue building on the good work started by Doug Murdock,” said Gov. Ige. DAGS has recently undertaken several initiatives to upgrade state systems and IT infrastructure, including payroll modernization. These initiatives will continue under Becker’s leadership. “I appreciate the governor’s consideration of me to be the director of DAGS. I look forward to continuing to support the governor and his administration in this new role,” said Becker. Becker replaces Murdock, who has served as comptroller and DAGS director since December of 2014. Murdock has served 26 years in the Air Force and four years with the State of Hawai‘i. He steps down after 30 years in public service to pursue other interests. “Doug has been an important member of our team and helped lead efforts to increase efficiency, reduce waste and improve accountability in state government. I am grateful for his years of public service and wish him the very best always,” said Gov. Ige. Becker assumes his new role on Nov. 19.